I use the Python 2.7.3 that comes with Softimage 2015 SP1, but I do also have Python 2.7 installed on my system. Set the PYTHONPATH environment variable to point to the location of PyQt4. You could do this in setenv.bat, or in the System environment variables. In my case, I set it in setenv.bat to point to C:\Python27\Lib\site-packages, which is where I installed PyQt. Download and install the PyQtForSoftimage addon. You can use the OriginPath property to get the location of a plugin, but OriginPath is available in the scope of a plugin callback only. __sifile__ and __sipath__, however, can be used in the global scope. 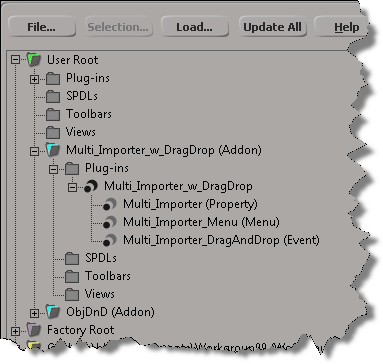 Workgroup plugins are loaded first. 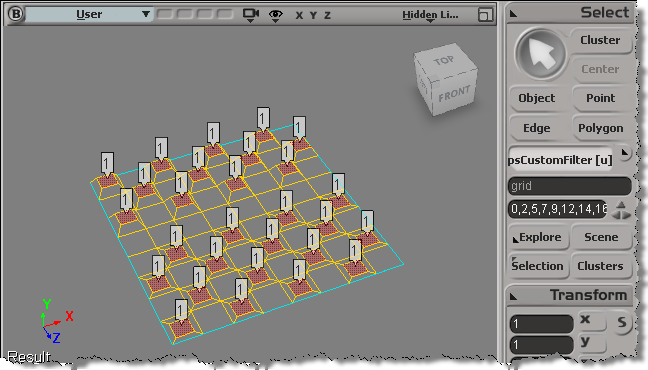 Softimage goes through all the workgroups, in the order they are listed in the Plug-in Manager, and loads all plugins that are not in an add-on. Workgroup addons are loaded second. 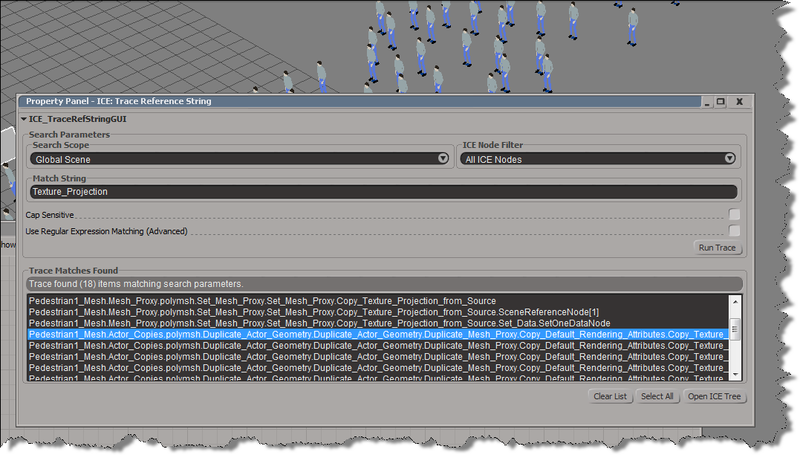 Again, Softimage goes through all the workgroups in list order, loading add-on plugins. What was my motive for looking into this? A plugin that was trying to get the OriginPath of a plugin in the SItoA addon. That was never going to work, because the plugin was loaded before the SItoA addon. I tested this on Windows 7, not Linux. As an exercise, I updated Tim Crowson’s Multi_ImporterPPG addon with a DragAndDrop event, so you can import multiple files with a single drag-and-drop. You can download the modified version here. Here’s the DragAndDrop event handler. The doit() function is also used by the Import menu command; I just had to generalize it a bit to work in either case (menu or drag-and-drop). ICE Tree Trace is a new tool from Bradley Gabe. Download it here. It’s a plugin, so you want to save it in the Application\Plugins folder of either your Softimage User location, or of a workgroup. Or drag this addon to a viewport. Tool for tracing instances of strings inside ICE Trees. Can be used, for example, to track down the number of times a specific attribute is called. Via filters, may also be used to determine how an attribute is called, whether by Get Data, Set Data, or other ICE nodes that handle string parameters. NOTE: At present, there is no access in the SDK to directly select nodes inside an ICE Tree node graph interface. ICE nodes are selected in the scene, and may be accessed via the explorer. it is because of custom preferences. Notice how all the errors include works like “settings”, “options”, or “preferences”. These custom preferences use a custom property plugin to define their PPG (property page) layout. You’re getting an error because the custom property plugin isn’t loaded into Softimage. It could be that the plugin is no longer installed on your system. In this case, you can delete the instance of the custom property from Preferences > Custom in the explorer, and delete the corresponding .preset file from the Data\Preferences folder (of your Softimage User folder, or from a workgroup folder, depending on how the plugin was installed). The other possiblity is that some other plugin is calling RefreshCustomPreferences before the custom property was loaded. For example, this can happen if a plugin installed in your User location calls RefreshCustomPreferences, and the custom property used by a preference is installed in a workgroup. Softimage loads plugins in the User location first, before workgroup plugins, so this would give you the “plugin is not installed error”. In general, we’d prefer you didn’t disable the CER reports. But if you’re in the middle of debugging a plugin that constantly crashes, for example, you might want to temporarily disable the CERs. Maya, and presumbably 3ds Max, work the same way. The User Tools menu in an ICE Tree view has an Add Operator to Menu command that adds your compounds to menus, so you can apply them to the selected object. “Add Operators to Menu” is implemented in VBScript in %XSI_HOME%\Addons\ICEUserTools\Application\Plugins\ICEUserTools.vbs. Unfortunately, this command wasn’t updated after 2011 Advantage Pack, so it doesn’t know about the new ICE toolbar and menu structure. So, here’s a Python version that adds ICE operators to either the Particles > Create or Deform > Create menus in the ICE toolbar. When you apply the operators, they will be applied to all selected objects. The addon adds a “PSS Add Operators to Menu” command to the User Tools menu of the ICE Tree view, so it does add a bit of clutter (since I cannot programmatically remove the original Add Operators to Menu command). In the ICE Tree view, click User Tools > PSS Add Operator to Menu. Type the name of the xsicompound file (without the .xsicompound extension). The next time you open the menu, it will be dynamically updated to include a command that applies your operator (with ApplyICEOp) to all selected objects. See below the fold for the plugin code.